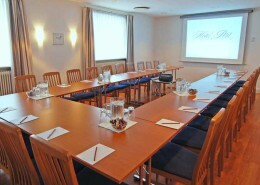 Hotel Petit is ideal for small groups and fruitful meetings. 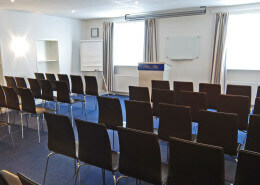 The atmosphere is cosy and relaxed, meeting facilities are modern and all the technical equipment is in place. 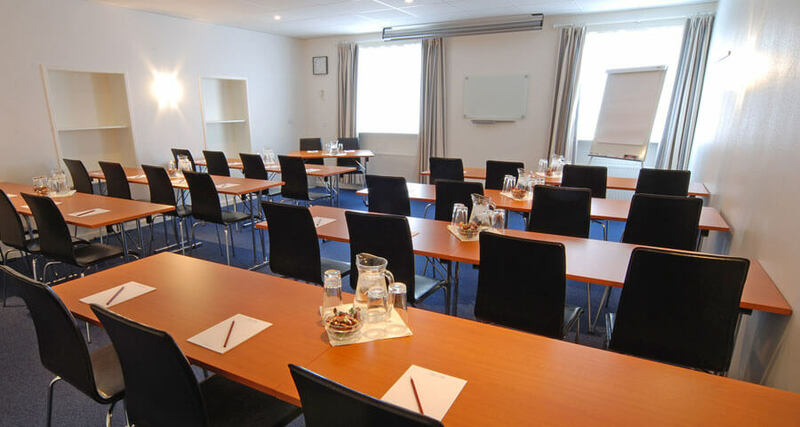 If you only need accommodations and breakfast buffet, just fill out our enquiry form and we will send an offer asap. 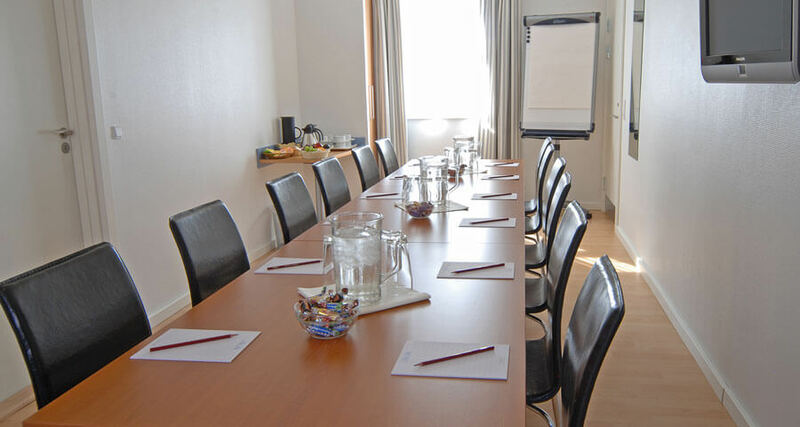 If you need more, we’ll get the job done: everything can be included in a meeting package as needed. 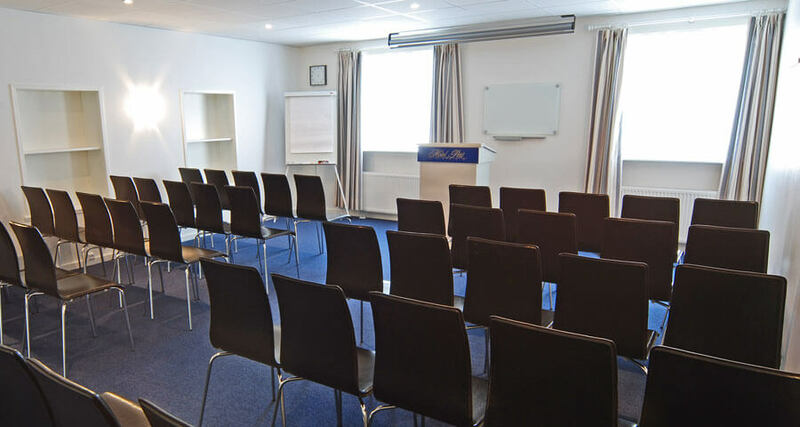 While participants set their thoughts in motion, we take care of the rest. 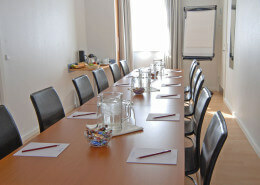 There is water and chocolates or fruit in the meeting room, coffee and cakes can be arranged during breaks. 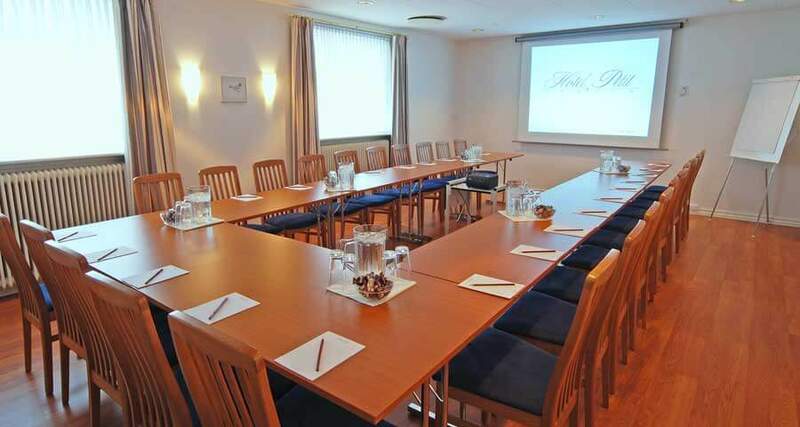 At the hotel we serve a light lunch and ensure that participants can experience a bit of the city and its specialties, by reserving all dinners at selected restaurants within short walking distance from the hotel, for example at Pakhuset, the well-known fish restaurant. 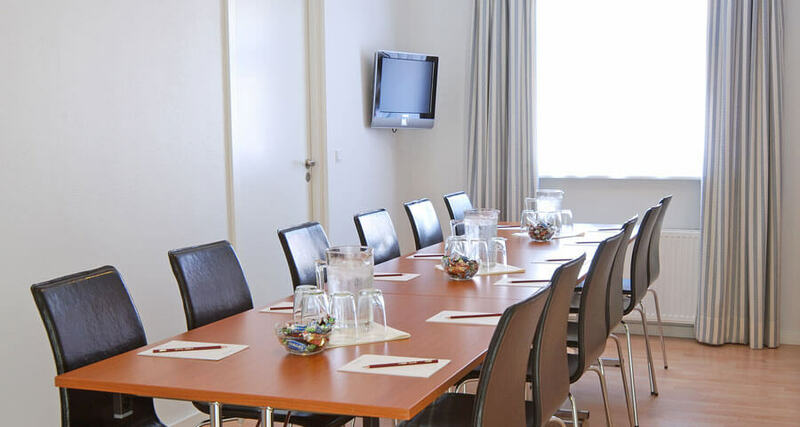 The hotel is located right in the center of town, and one can use the breaks to stroll down the pedestrian street, ot to take a short walk to the marina or to the beach. 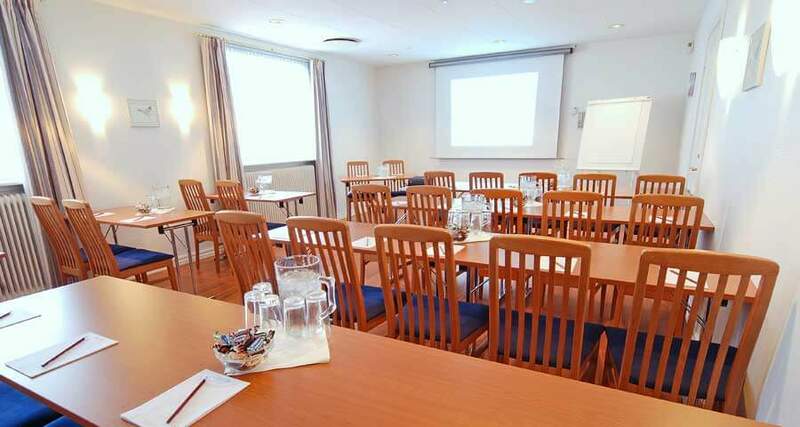 We can also arrange guided walks in Østerby (the old town), tours and special events at Skagen Museum, and even outdoor team building activities. 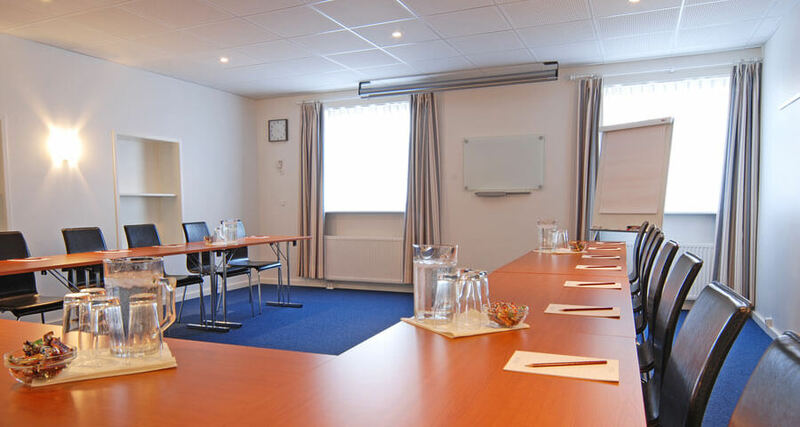 Groups and meetings can not be booked online, but if you send a request where you specify your needs, we will send you a customized offer for your next meeting. 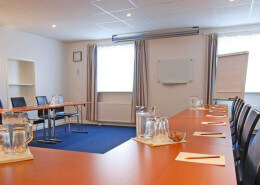 Please note that our bills show a detailed specification of VAT charges, so you can take full advantage of deductions. 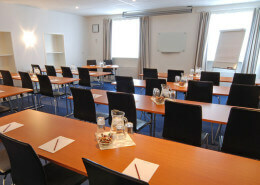 Learn how to save on VAT here. * Supplement on Fridays/ Saturdays, and all days in June/ August. The offer is not available in the summer holidays. 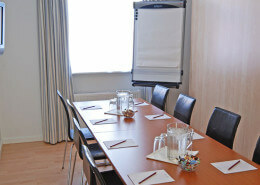 Our meeting rooms are on the ground floor and have plenty of daylight. 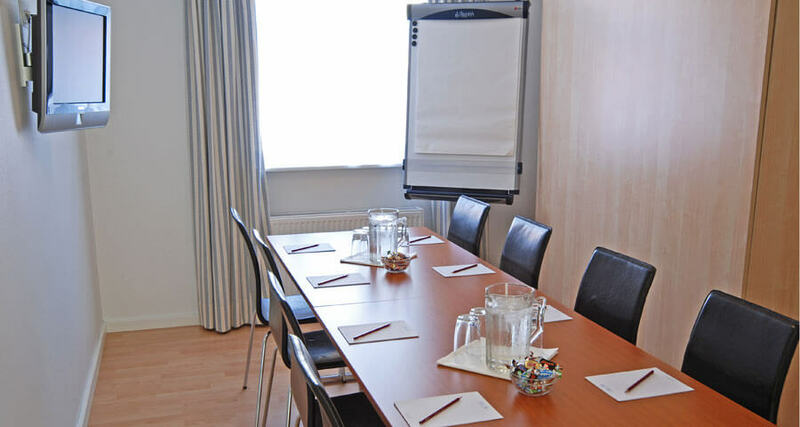 The meeting rooms can accommodate up to 50 people, while the three group rooms can accommodate from 8 to 12 people. 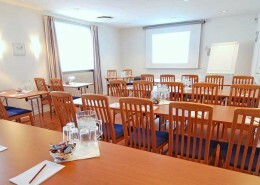 Below you can see some pictures of our conference and group rooms: click on the images to see them full size.